as we travel through time and celebrate the human achievements of communication and how they evolved over the ages. Below are the chapters for the story of our Spaceship Earth. We start with the introduction from the narrator. We see nebulous purple and pink clouds with white lightning as we ascend in our time machine. 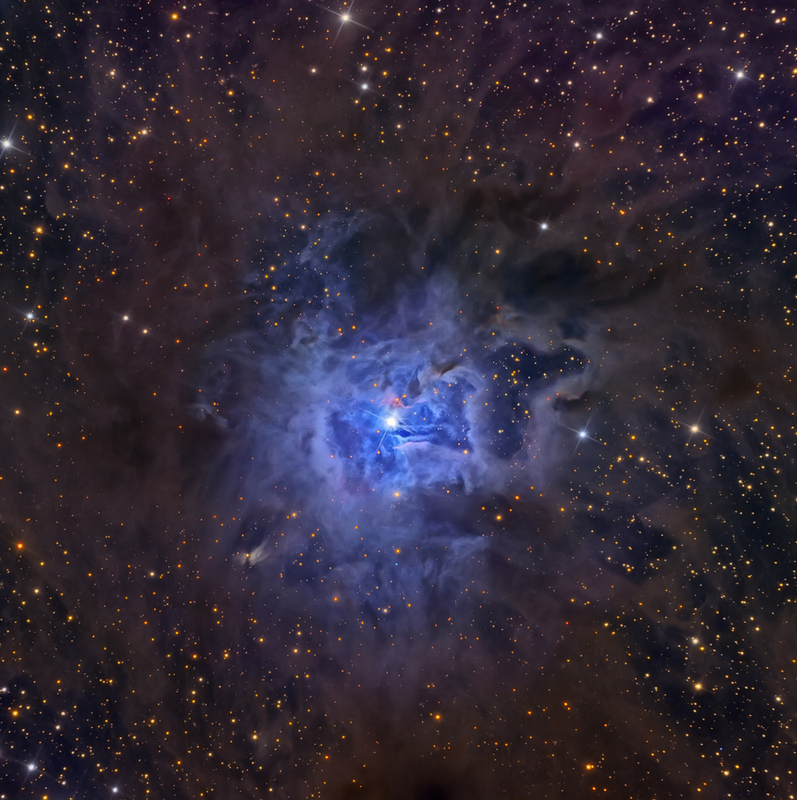 It almost looks like a nebula – an interstellar cloud of dust, hydrogen, helium and other ionized gases. Its also known as a “stellar nursery” – the birthplace of stars. A call back between the time of the Big Bang 13.7 billion years ago when the Universe began to the birth of our Sun and our Earth about 4.5 billion years ago. The early atmosphere of Earth was tumultuous. 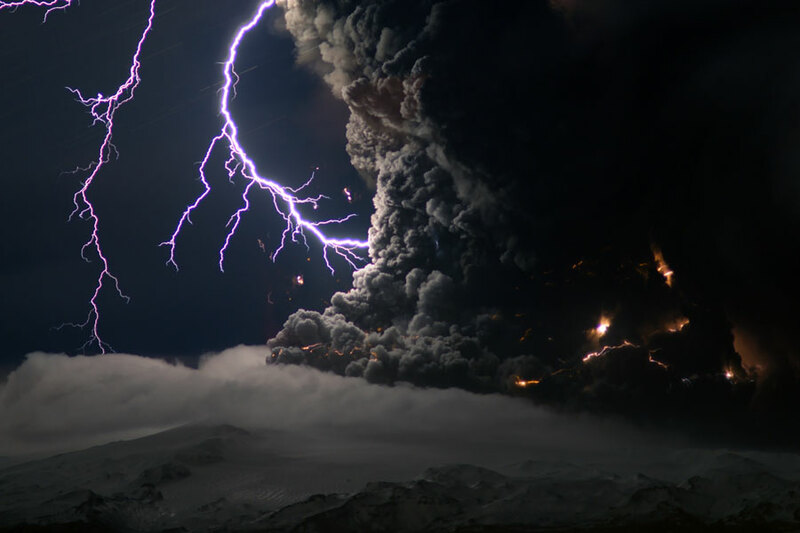 Storms and lightning had an impact on the Earth’s atmosphere and lightning’s energy may have even had a hand in the creation of life. This really neat visual has been recreated by Joshua L. Harris for you to download! Each of the script versions below reference how we are all a part of the Universe as crew members of Spaceship Earth – setting the stage on an even tone for what is next in our history. Like a grand and miraculous spaceship, our planet has sailed through the universe of time; and for a brief moment we have been among it’s passengers. But where are we going? And what kind of future will we discover there? Surprisingly, the answers lie in our past. Since the dawn of recorded history, we’ve been inventing the future one step at a time. So let’s travel back in time together. I’ll show you how our ancestors created the world we know today, and then it will be your turn to create the world of tomorrow. Like a grand and miraculous spaceship, our planet has sailed through the universe of time. And for a brief moment, we have been among its many passengers. From the very beginning, we have always sought to reach out to one another … to bridge the gaps between us … to communicate. For eons, our planet has drifted as a spaceship through the universe. And for a brief moment, we have been its passengers. Yet in that time, we’ve made tremendous progress in our ability to record and share knowledge. So, lets journey back 40,000 years to the dawn of recorded history. We’ll trace the path of communications from its earliest beginnings to the promise of the future. Where have we come from? where are we going? The answers begin in our past. In the dust from which we were formed, answers recorded on the walls of time. So let us journey into that past, to seek those walls, to know ourselves and to probe the destiny of our Spaceship Earth. Where did we come from? Some of this we know. Where are we going? Some of this we dream. How do we get there? Let me chart the ways. The future has many arts, many sciences, many paths, many doors. What are we? Where did we come from and where go? What is our past that lies beneath us like the dust? Let us sink into the past, that dust, to find — Ourselves! Let us bury ourselves like the Five Billion year Locust and then burst forth with wings – to plan tomorrow’s noon! Now that the Universe has begun we are ready to see how we started to communicate on our planet. TikiSpaceshipEarth | Theme: Intergalactic 2 by WordPress.com.